Discs & Wheels are applied in grinding ceramic and nickel alloys. Each product has it's own unique characteristics and is designed for specific purposes. 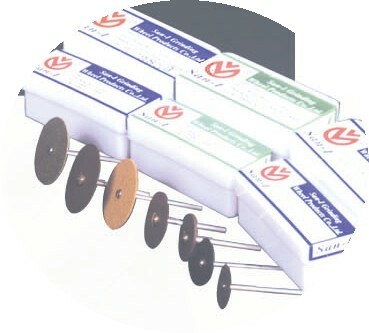 One extremely thin grinding disc to be applied in grinding porcelain, gold, enamel, crown and bridge metals. For fast , cooler cutting and extremely long lasting in grinding dental material proccess.